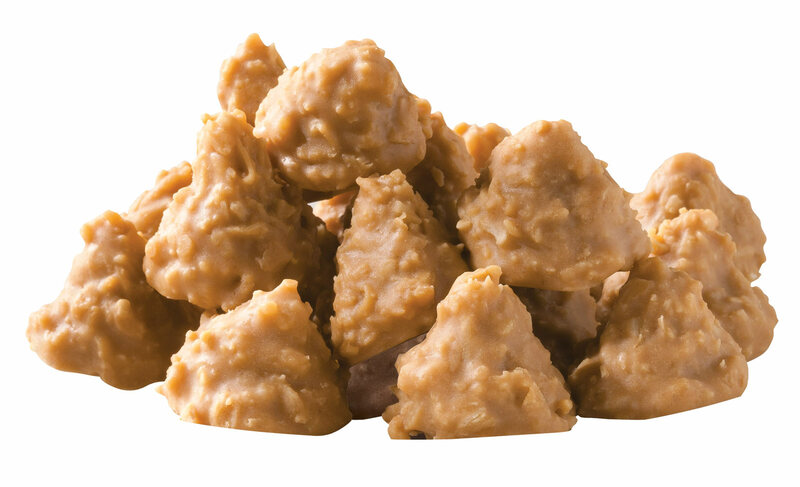 Taffy Town® Salt Water Taffy - 14 Oz. Very soft & chewy! Great Flavors! 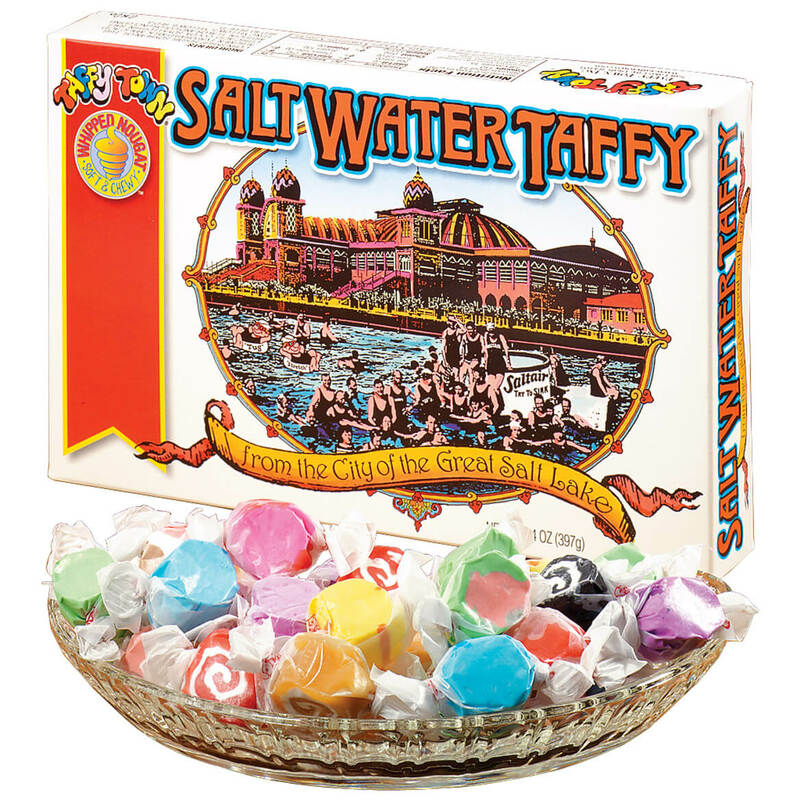 They are the original salt water taffy I remember. They taste like good old fashioned salt water Taffy. Yum, Yum. Great Product...WISH IT CAME IN LARGER SIZES...LIKE 5#'S.. This is the real salt water taffy. taffy town is the best overall taffy will buy more. I love ? some good taffy and this hit the spot. This was a gift to a friend. He said this was the best salt water taffy ever! The above ratings are his ratings. Loved then! Soft,chewy,& different flavors! Delish! Just while sitting and lounging around, watching TV and snacking on these made we want even more. Easily addictive. And I am a picky candy person. I only like stuff like this that's so flavorful and soft and chewy. Would buy again and again....not really "salty"
VERY TASTY TAFFY. SOFT AND FLAVORFUL. I love this candy was not sweet but i love it taste. 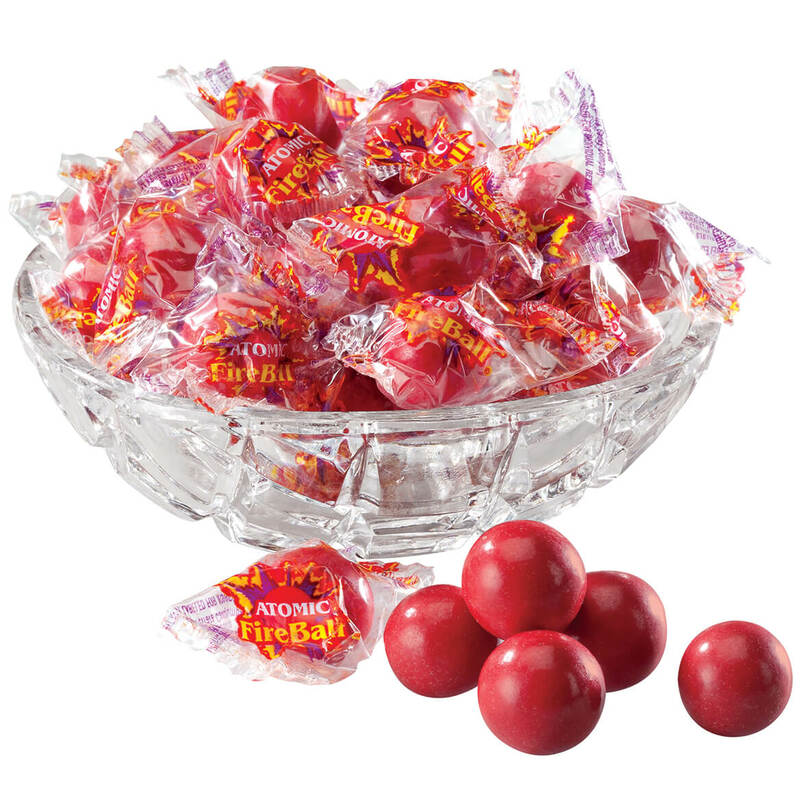 This candy had a lot of flavors was easy to chew gave some to grandchildren will buy again. It had been a long time since having real saltwater taffy, and to say I was happy is an understatement. This is delicious, melt-in-your-mouth goodness! 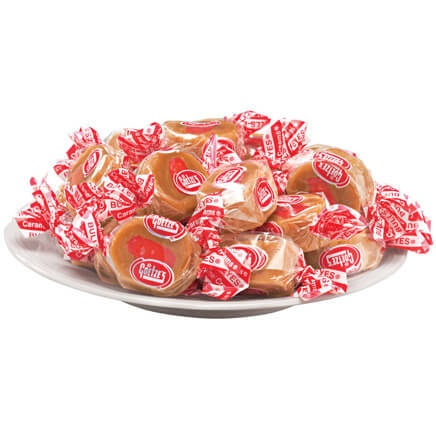 gave for kids for halloween treats and to quest that came to my home very good taffy. The kids liked it as well. Great taffy. Will by again. 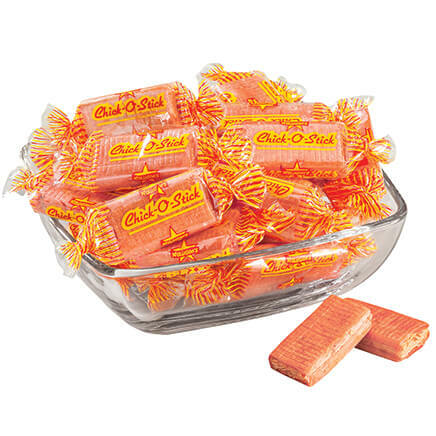 Great taste, sticky wrapper, some of the goodness lost. Salt water taffy was delicious. soft and each tasted different, My husband has been wanting taffy for several months, he was very happy with this product. Would order it again. really tasty taffy...will order again for sure! I gave this to my 22 year old grandson for Christmas and he just loved it. As a child he would ask for salt water taffy for Christmas. I hadn't gotten him any for awhile and then saw it in your catalog. Will re-order for him again this year. I'D BEEN LOOKING FOR SOME GREAT TASTING SALT WATER TAFFY I HAD YEARS AGO, BUT NONE SO FAR COMPARE. EVERY COMPANY SO FAR SEEMS TO PUT EMPHASIS IN 'SALT WATER'AND THAT'S WHAT ALL TAFFY TASTE LIKE SO FAR, SALTY SUGAR AND NO FRUIT FLAVOR. Too salty and not soft enough. Hands down this is the best salt water taffy around!! My friend loves Salt Water Taffy. 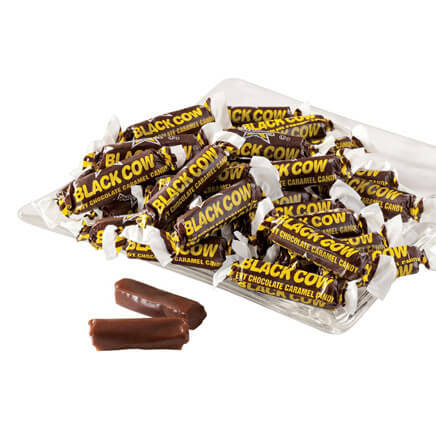 Sometimes when you want a snack that is sweet but not too sweet and it is something that will take you back when you were at a younger ago,when life was a little simpler and when I use to have so much fun with no worries or problems to concern me. I can't find these in my stores. I like salt water taffy and I once bought it elsewhere it was mostly peppermint which I am not very fond of. I used to get them from my Dad when he returned from a business trip and really love them! I bought 2 boxes, one for me and one for my daughters stocking. Merry Christmas!! I love salt water taffy. I love salt water taffy and wanted some. I loved the peppermint taffy so much. I want to try the other flavors. Good ole saltwater taste and creamy texture. i love taffy, and i'm looking for some i had years ago which tasted delicious, like real fruit almost and lately i spent $100.00 in others and most taste like sugar or salt. i'm giving these a try. if i like them as much or are the ones i'm looking for they will be selling to me. Same comment in question 6. I just love this Candy. It is always fresh. No matter what time of year you buy it. I LOVE THIS TAFFY...I JUST DON'T GO TO THE SHORE..SO THIS WORKS TO ORDER IT!! Taffy Town is the best salt water taffy. Great flavor of taffy and it's soft. Used to get salt water taffy from Jones Beach NY from my godmother. Loved it, especially at Christmas! We have one and love it !This is for my Granddaughter Merry Christmas!! We have a dear friend who loves this stuff. its hard to find locally where I live. 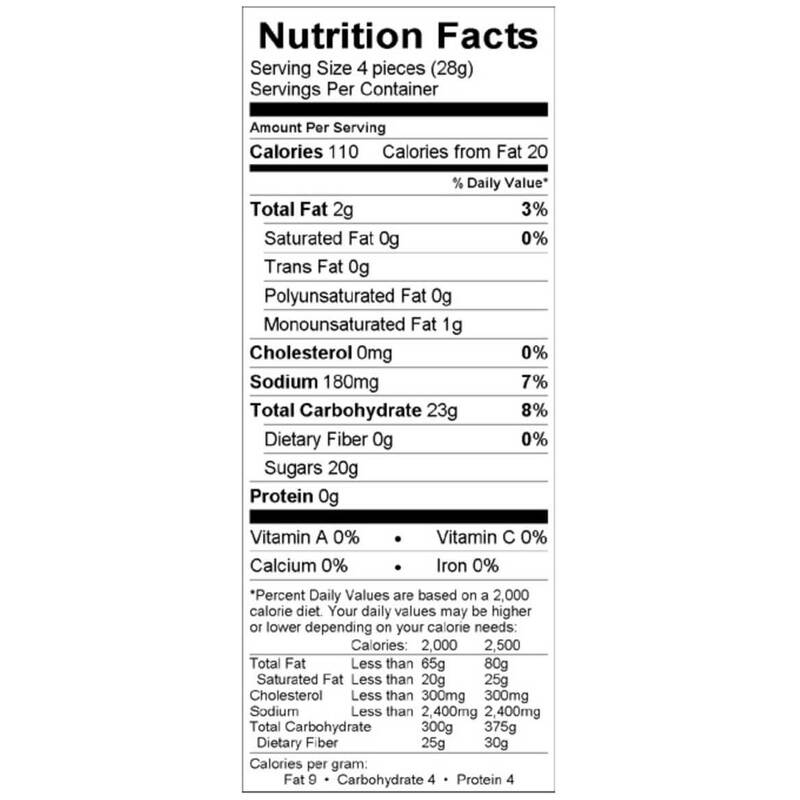 Is any of this candy gluten free? BEST ANSWER: Thank you for your question. Do a search on our website for gluten free. Unfortunately the taffy is not gluten free. We hope this information will be of help to you.